Flash Fiction short story no:6 (of 100), under 700 words this time. I’ve been inspired to look again at some of my past abandoned stories following a recent flash fiction challenge in the IASD writing group. Along with compiling many different stories from the group for an IASD anthology in the near future (news of which to be featured in a forthcoming blog post), I hope to publish my own collection of flash fiction too. Jeez, I love what I do! It’s no mean boast, but I’m probably the best in the world. I’ve a room back home full of trophies and awards. A few years ago, I shot the last white rhino. Before that, I was the first to bag one of the few white tigers to have successfully survived in the wilds of the Indian jungles. To do what I do requires all the stealth and cunning of the wild animals I track. Only my peers and contemporaries can ever truly understand the thrill, the adrenalin rush, that sense of achievement that comes after days, weeks, and even months of tracking and stalking your prey until you finally corner it into position. My latest quest is the most ambitious yet. Rumours of its existence have been floating around the net for years. The biggest liger ever seen, or so the locals say. Yes, that’s right, a cross between an Asiatic lion from the Gir forest in India, and a Bengal tiger. No one knows quite how this wild liger came about. Tigers are jungle cats while lions are found on the plains. But India has both, so it’s not impossible. It’s started attacking domestic livestock from the outlying villages surrounding the forest. That’s how its existence has been confirmed. With the intimidating size and strength genes of a tiger and the ferocious fighting skills of a lion, it’s a truly magnificent beast. It’s reportedly 12 feet tall on its hind legs and possibly 1000 lbs in weight – heavier and taller even than Hercules, officially the biggest cat in the world. It could be the crowning achievement of my career. I’m determined to have it! After my arrival at Keshod airport, it was still another 3-hour drive to the area just beyond the southern outskirts of the Gir forest where the liger was last seen. After a few days preparation, I begin my hunt. It was last spotted nearby in the Gir National Park, probably in the hope of mating with one of the Asiatic lionesses, so that’s where I start. Possessing twice the size and strength of a regular lion, it’s difficult to imagine any of the alpha males fighting off the intruder to the resident Prides. Three days I lie in wait, shrouded in natural camouflage, smeared with the local vegetation and scent of the plains. The Park authorities are aiding me in my quest, appreciative of the publicity my success would bring to their tourist business. It’s a dangerous spot. Being the only sanctuary in the world for the Asiatic lion, there are lots of them about. These are no tame, domesticated varieties you might find in a city zoo. Sanctuary or not, these are dangerous wild animals that hunt, kill, and rend their prey limb from limb to satisfy theirs and their cubs’ hunger; human flesh would be a more than acceptable alternative to their more usual diet of zebras and giraffes. I remain aware of the danger. But from years’ experience, I know how to protect myself. I focus instead on the job in hand. I finally spot my prey. I’m staggered by the size of it, even from two hundred yards away. It’s like some monster from the id, more like an image of a prehistoric Sabre Tooth than a modern-day hybrid. He’s in the cross-hairs of my telescopic sight now. A headshot I decide. I take aim. I’m hoping it will turn to face me. To capture that glint in its eyes, that moment of recognition between the man and beast, there’s no other feeling quite like it. Turn will you, turn, I urge silently. He does. He’s magnificent. He’s mine! ‘Best photo of the year,’ said the New York Times. Jeez, I love my job! 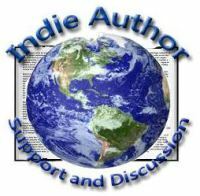 In 2015 my good friend and fellow author, Ian D. Moore invited members of our FB writing group the IASD (see www.indieauthorsupportanddiscussion.com) to write and contribute original stories for an anthology of short stories on the theme of Relationships in all their many and varied forms. The idea was born out of the author’s personal loss of a much loved close relative to cancer. Many of the authors, both in this edition and the forthcoming 2018 Macmillan anthology have had personal experience of cancer, either coming to terms with it personally and/or via friends and family. Even as I post this story, Ian D. Moore and a number of Indie authors are busy editing and formatting the contributions for the 2018 edition, also in aid of Macmillan cancer. In addition to the adult contributions, a number of younger writers have also contributed to the book. Needless to say, I will be blogging nearer the time and when it’s finally published. In the meantime, if you’ve not yet read the 2016 edition just click Here for the purchase link to You’re Not Alone. “Ready for our adventure, Lucy?” I asked. A gentle squeeze of her hand in mine and the almost imperceptible smile on her lips was all the answer I needed. She did remember; it had been a glorious weekend, one where we enjoyed all that nature had to offer and lost ourselves in each other’s arms and company. This time though all the immediate family would be joining us: Lucy and me, our two grown-up children Cody and Nicola, and Gemma, Lucy’s younger sister. We knew it would be the last time we would all be all together. We started off at a nice easy pace, no need to tire Lucy unnecessarily, I thought; I mean, neither of us was still in our first flush of youth, leave the mad scrambles to the youngsters, I laughed, not that Cody was likely to move more than a few feet away from us; our six foot two hulk of a son had always been his mother’s boy; I remembered when he was a nipper, whenever he wanted something, needed help, or anything for that matter it was always ‘Mum, can I…’ or mum this, or mum that… and when she wasn’t around it was simply ‘Dad, where’s mum?’ or ‘Dad, when’s mum back?’ I didn’t mind of course, how could I? Navigating the majestic scenery of Rannoch Moor was something we had all enjoyed many times before, and even though Lucy knew the landscape and features as well as any of us, I couldn’t resist my usual running commentary: “It was like having Scotland’s answer to Wainwright tagging along.” Cody chipped in. I reminded her of every site and feature we’d ever come across, so yes, I probably did sound like some over-enthusiastic tour guide. But it was more than that; what made it special was its proximity to Leum Uilliem, a nearby mountain where I had first proposed, and where we might well indeed have conceived at least one of our two children during subsequent visits. “I remember that time dad tried to show you how to use a compass, he nearly went mad trying to explain mag to grid, grid to mag, taking bearings, and the differences between grid north, magnetic north, and then true north, that really got you going… ‘So what are you saying, that the other two are untrue’ you would ask just to wind dad up even more.” Cody was saying to his mum. “Well, that’s made the day complete, ain’t it Luv?” I said to Lucy. “Sorry mum, sorry dad,” the two of them said with a smile, almost in unison. “Nowt ta be sorry for kids, I mean, what would a day out be without you two getting into a row over something?” They both smiled. “Does anyone remember the time we turned up at Corrour railway station and we saw all the camera crews, we thought there must have been an accident?” I asked, changing the subject. “Well, it was when they were filming a scene from that film, what was it …Trainspotting … and the catering guys shared some of the film set food with us, and you scoffed three hamburgers.” I said in mock remonstration: “… and then you scolding me for letting him when he was being sick on the walk back later.” I added, turning back to Lucy. It was nearly midday now, some four hours since the start of our reminiscing adventure, time for a break I thought: “Speaking of scoffing, sarnie and a brew, anyone?” I asked. “Sounds good to me.” Cody agreed. “Well, there’s a surprise.” Nicola laughingly added, at which point we all had a chuckle; Cody may have been the youngest but he had an appetite that matched the rest of us put together. And so it went on, time flying by all too quickly as we swapped stories and memories of our travels together, like when we took the kids wild camping for the very first time; come to think of it, it was only the second or third time Lucy had agreed to camp out overnight as well. The kids, of course, took to it all like ducks to water and had no inhibitions whatsoever when I explained about ‘toilet etiquette’ in the wild. Her curt and ‘not amused’ answer of ‘it’s different for men’ was just so funny at the time, especially as just then Cody and Nicola came running past trailing toilet rolls behind them just like the dog in the Andrex advert. “Okay okay, there’s plenty I remember about you as well, Nic.” Again we all laughed. “And then there was that time when we saw that Brocken Spectre, that was amazing,” Nicola said. “Brocken Spectre?” Gemma asked. Gemma had never been much of an outdoor sort of person so wasn’t familiar with the phenomenon: “It’s a rare and lovely rainbow and cloud formation you sometimes see on a misty mountainside or cloudbank.” Nicola answered. “It’s a sort of triangular or circular rainbow with a hazy figure in the centre. The figure you see is actually an optical illusion created by your own shadow reflected from nearby clouds. It’s hard to explain but your own movements can often appear to be reflected by the movement of the figure in the spectre.” I added by way of explanation. Almost fortuitously, it was then that the doctor entered the room. He smiled – not a wide a beaming smile but just one of gentle sympathy. I imagine his manner and sympathetic demeanour was something he had had to perfect over many years but it was still appreciated nonetheless. There was no need for us to wait for him to ask the question: “We’re ready.” I said. Gemma agreed. A heavy intake of breath and a slight nod of the head from Nicola and a stifled cough and tear-filled flicker of the eyes from Cody told me they were too. Gemma was the first to approach and lean in to take Lucy’s hand and kiss her on both cheeks: “See you again my kind and lovely wonderful sister.” It had been a wonderful day for us all, just sitting with Lucy as we chatted about our times and memories together. And credit to Cody, it has been his idea to enjoy and share those memories at Lucy’s bedside while we imagined one last great adventure together. I raised myself from the bedside seat, allowing room for Cody and Nicola to approach Lucy’s bed from either side. It was the first time I had released my Lucy’s hand from mine since I had entered the room early in the morning; it was now half four in the afternoon. “Bye mum, love you always…” Nicola whispered, just loud enough for those immediately near enough to hear. Cody rose to his feet and slowly moved backward away from his mum’s side, not once looking away from her sight until he reached the window, when he finally looked away, supposedly to cough and clear his throat; but what parent doesn’t know every little nuance of their children? Nicola was always more open with her feelings, and rarely tried to hide when she was upset, but Cody, ever since I could remember would rarely let on if something was seriously bothering him, a practiced master of the ‘something in my eye’ ruse. I recognised all too well the truth of the matter; this time there was little disguising his stifled sobs, and I daresay it was probably only my greater years and experience of death that was giving me the strength to hold back my own, at least for now. “Mr. Rogers.” The doctor said. I’d almost forgotten his presence. Although it had only been a few minutes since he had entered the room, it was as though a lifetime of memories had come flooding back in that brief time, much like how they describe how your life flashes before you when you’re about to die suddenly. “I know,” I replied. We all gathered round Lucy’s bed one more time. Just the merest nod was all the final consent he needed to flip the little red switch off the respirator machine, while a nurse simultaneously switched off the various monitors. The cold reality and physical reminders of my wife’s condition seemed to disappear with the extinguishing of the lights and noises of the life-maintaining machinery and assorted apparatus. “Time of death, 16:47.” The doctor declared. It sounded cold and clinical but I knew he was just following the hospital’s set procedures and other legal requirements. * 100% of the royalties earned or accrued in the purchase of this book, in all formats, will go to the Pamela Winton tribute fund, which is in aid of Macmillan Cancer Support.